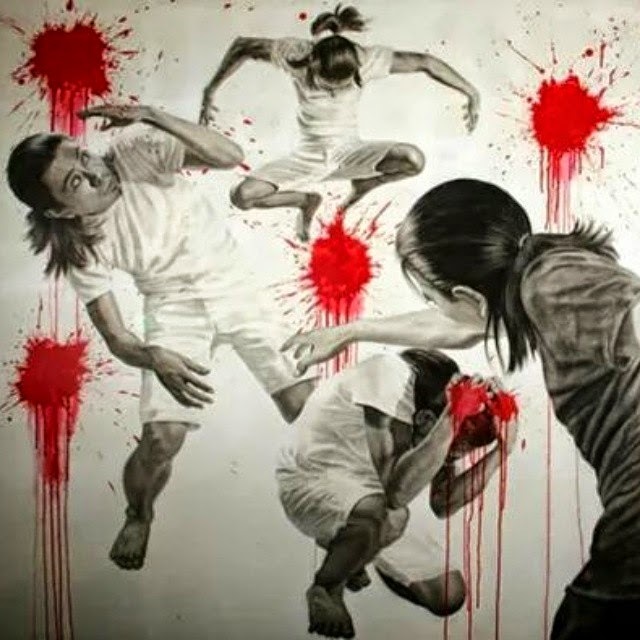 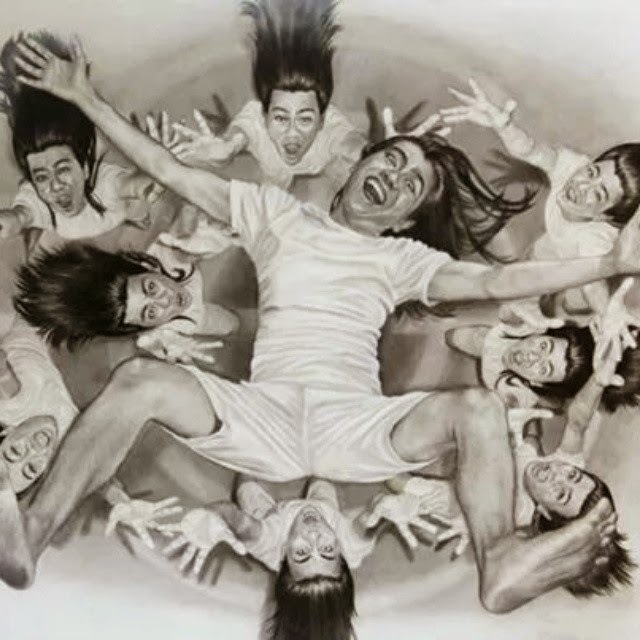 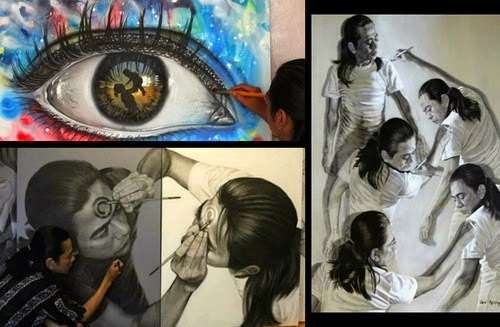 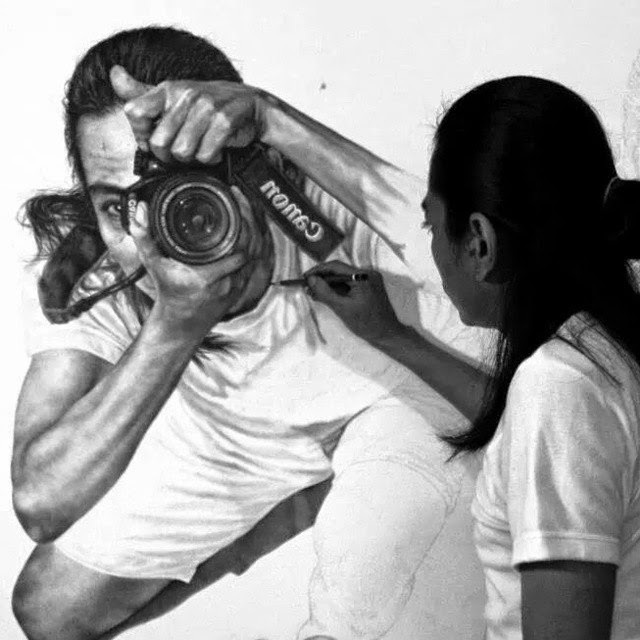 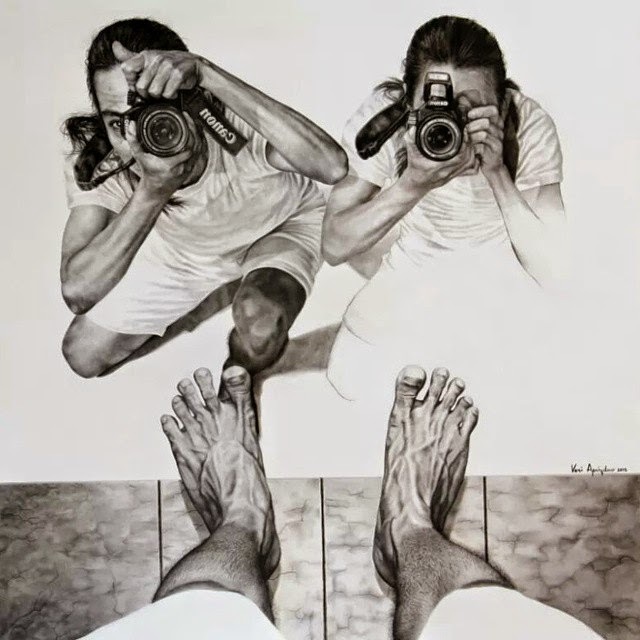 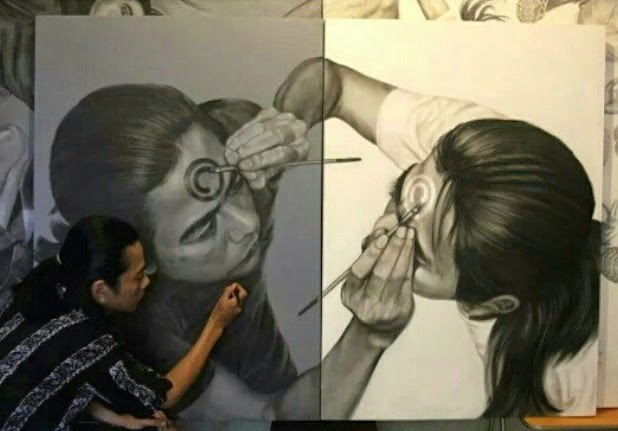 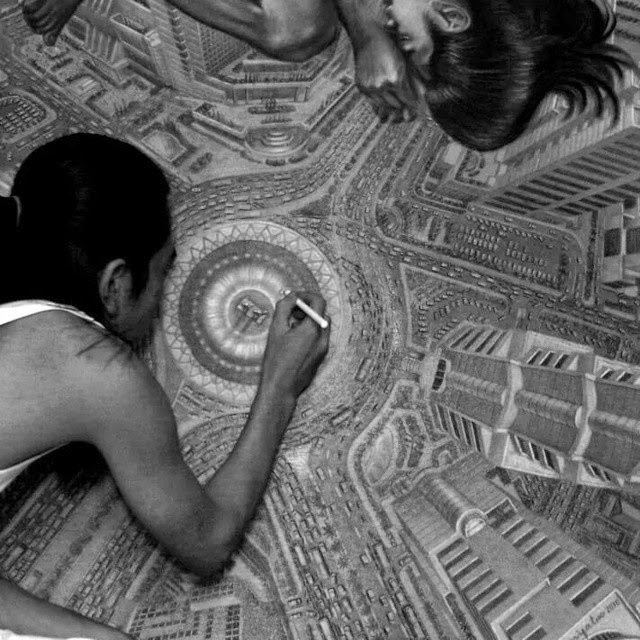 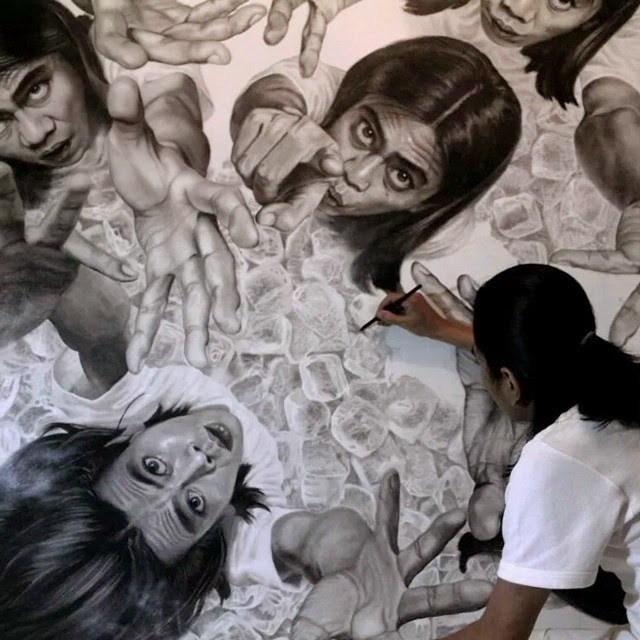 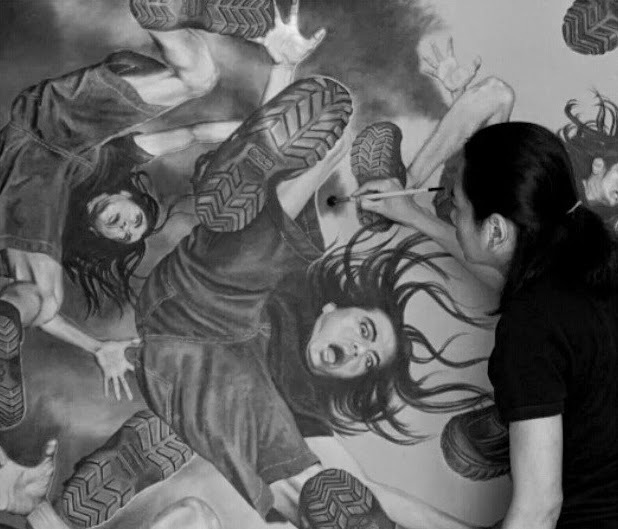 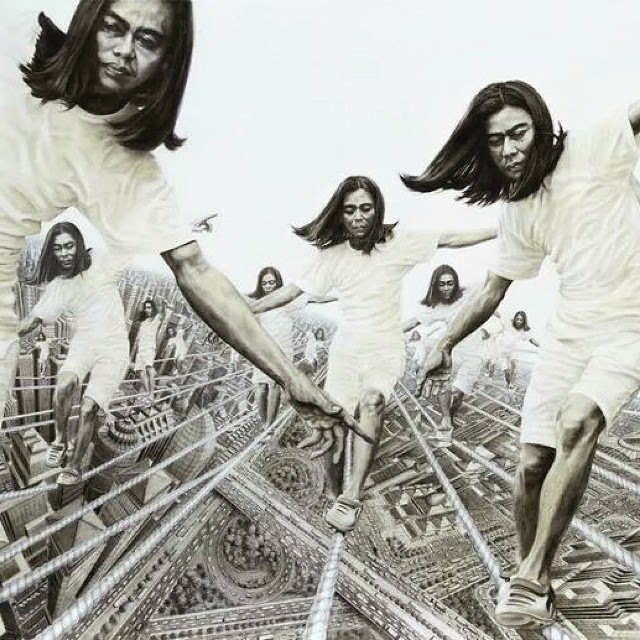 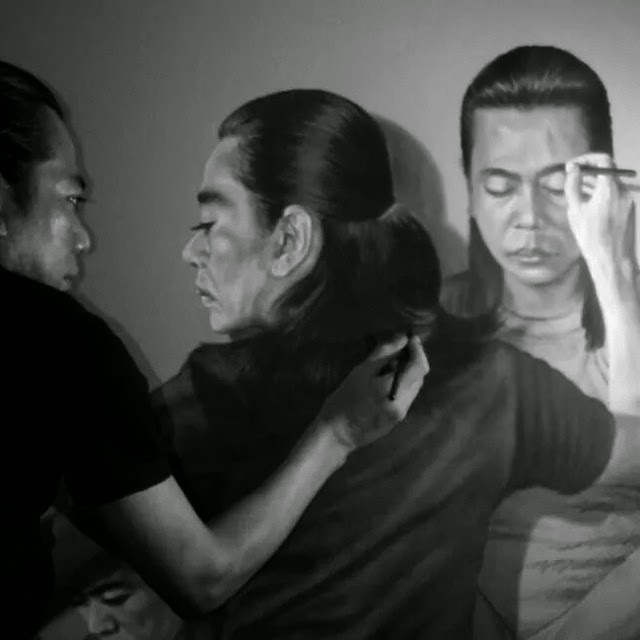 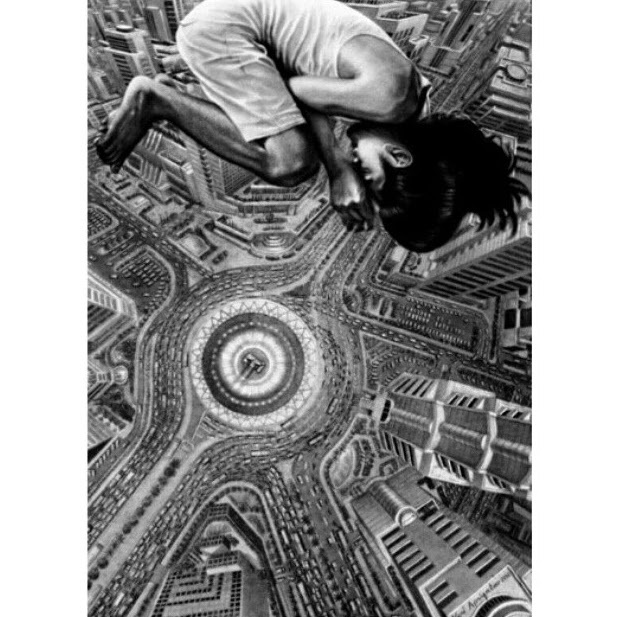 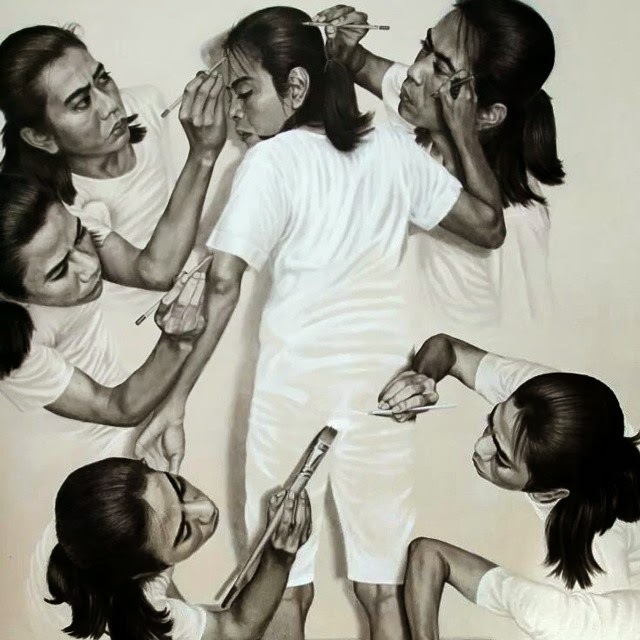 Indonesian Artist Veri Apriyatno is better known for photographing himself whist drawing himself drawing himself... 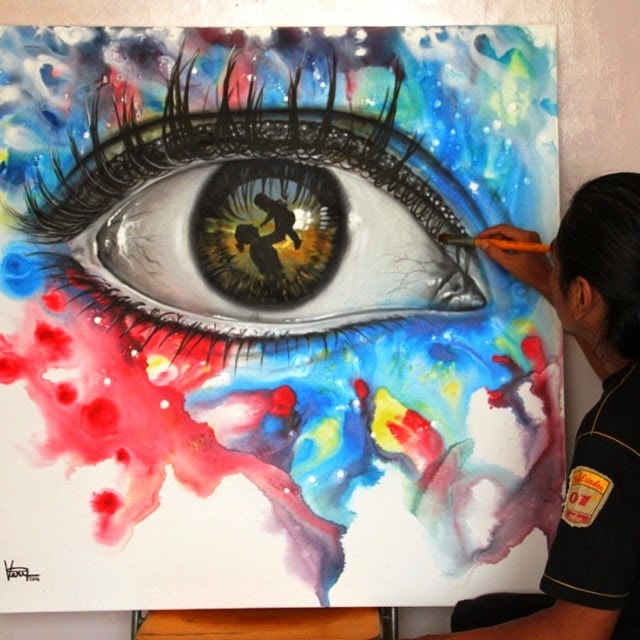 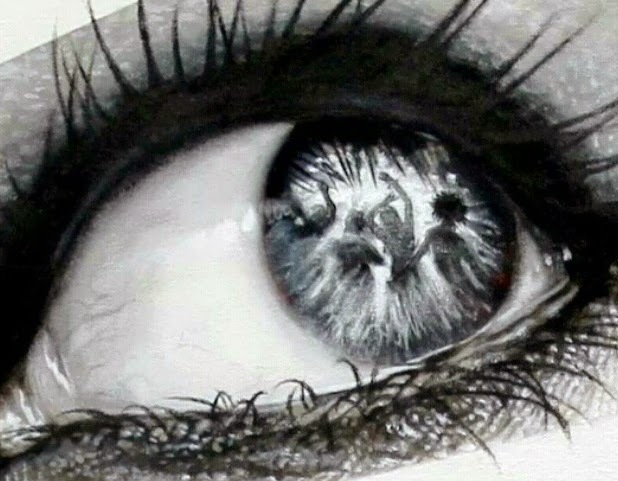 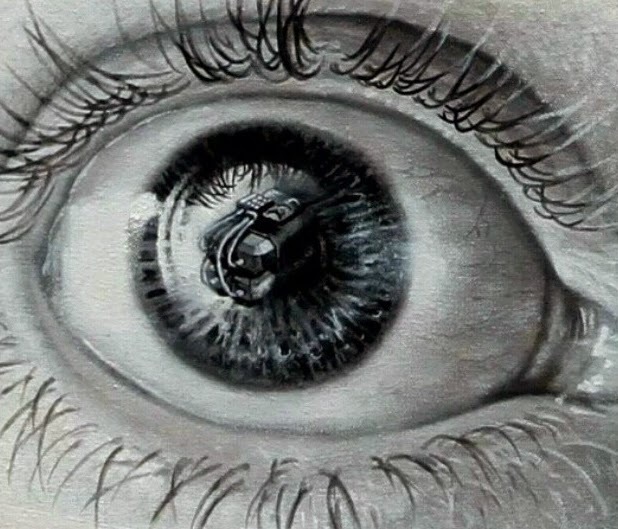 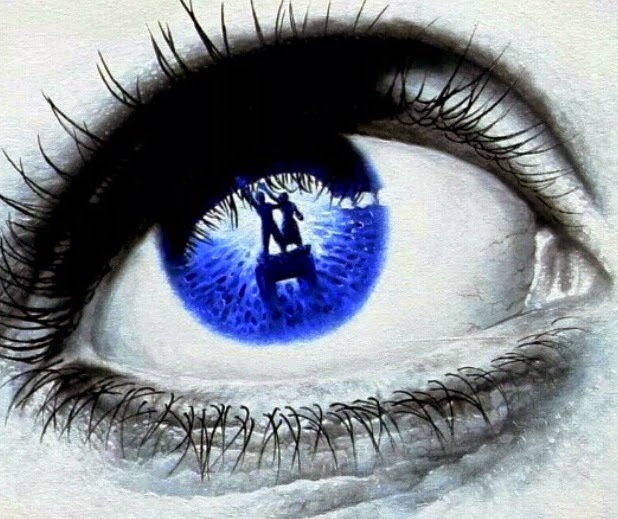 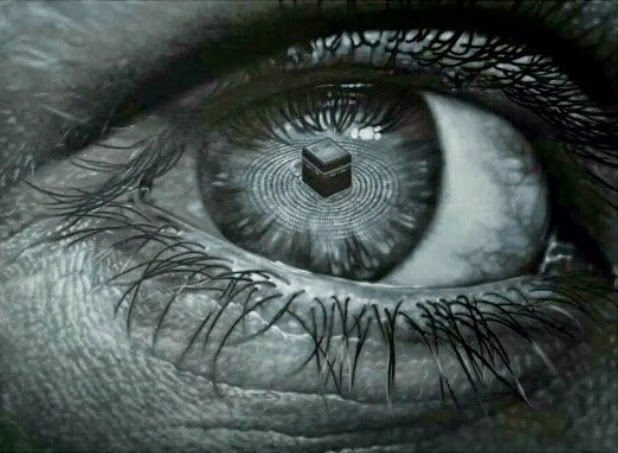 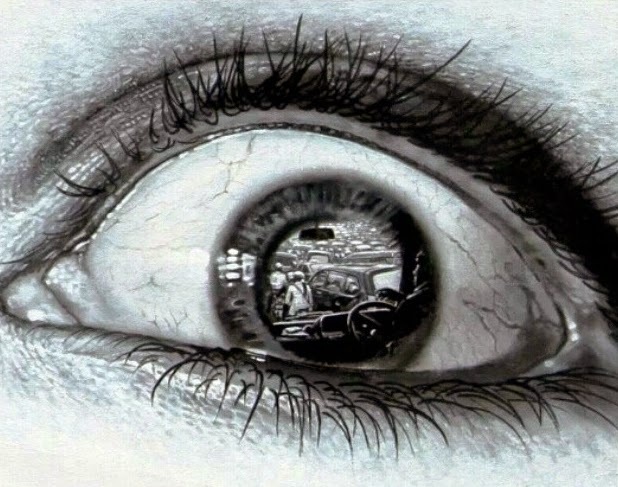 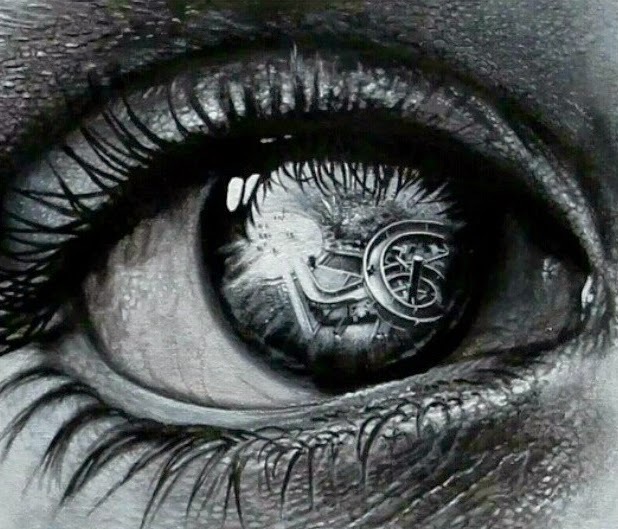 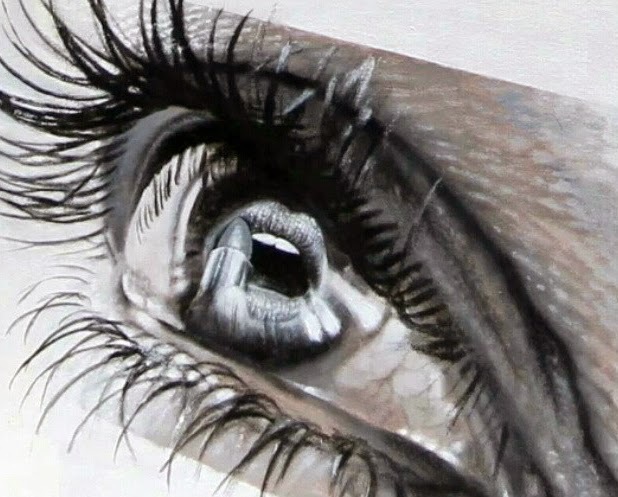 In this post our central theme, is the reflections of people's lives, drawn in their eyes. 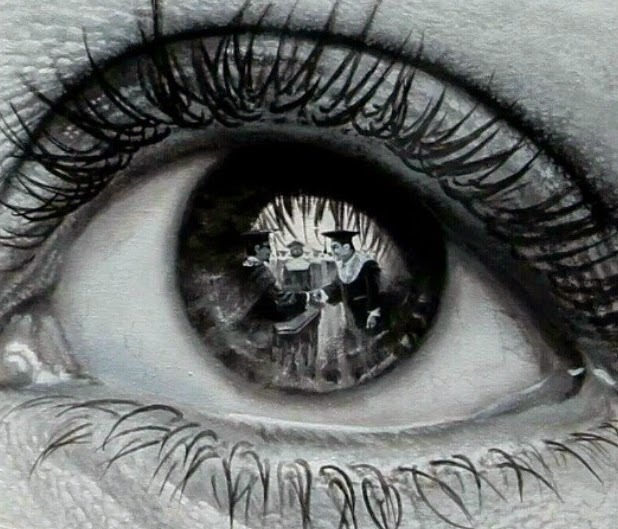 We thought it was a very good concept given the saying, the eyes are the window to a person's soul, depicted on them, everyday occurrences. 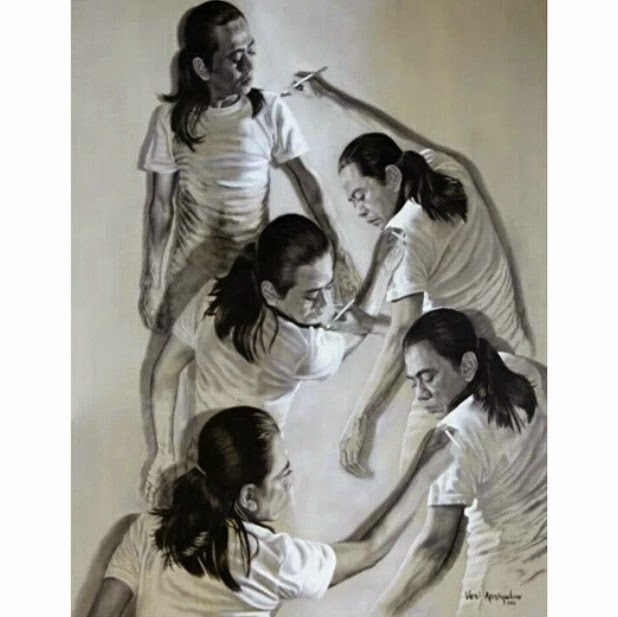 Following these drawings we had to include his multi-me drawings and a video, showing the progression of one of his pieces.